Piraeus, Greece - December 23, 2013 - Navios Europe Inc. ("Navios Europe") announced today that it has taken delivery of four additional vessels out of the ten vessel acquisition from HSH Nordbank AG ("HSH"). 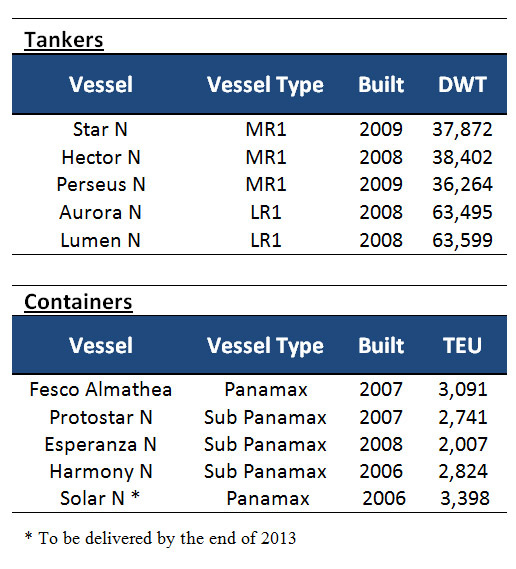 Including these four vessels, Navios Europe has taken delivery of nine vessels in total. The remaining vessel is expected to be delivered by the end of 2013.